One of the major talking points that came out of the recent Manchester SEO mini conferences related to the subject of forecasting for SEO purposes. As Head of SEO for a number of high profile search organisations within the UK, forecasting has become part and parcel of my day to day role, both in terms of providing a commercial rationale for undertaking a SEO campaign for the client, but also a way of providing a rational framework to the SEO project, one that has the end goals of the client at its heart and takes into account their fundamental reach and response requirements from SEO. The main issue with forecasting has and will for the foreseeable future be search data, in particular an accurate number of potential searchers within a particular sector, and even more so on particular keywords. Yes ,there are various tools on the market such as the Google Keyword Tool/SK Tool, Webmaster Tools, Raven or even old school tools such as Elite SEO however the fundamental issue remains in terms of data integrity and robustness particularly when one compares this to a real time environment. Further to this, many of us are lucky to have clients which have 100% coverage on 100% off their keywords, 100% of the time, and without such data, it is very difficult to provide absolutely on the money forecasts. Whilst I appear to debunk the potential for forecasting, I am merely trying to caveat SEO forecasting against that of other online & offline channels. These forecasts do provide a reasonably solid framework – however the data should provide a benchmark for proposed activity, after all we haven’t factored in any consideration for the fact that organic search is based on an algorithm, and thus to a large degree we cannot guarantee visibility nor placement based on proposed spend. 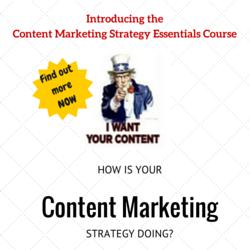 A proposed action plan of how you are going to approach your SEO campaign. Once you have an initial baseline you are ready to start. There are a number of ways such forecasts can be developed. Neil Walker did a very good way of the way Just Search approach their forecasting for SEO purposes. This takes the shape of a blue sky framework using aggregated clickthrough data to determine potential click through to the website. View more presentations from Neil Walker. The search engine landscape is a constantly changing environment, and as with this landscape you should revisit the forecast on an ongoing basis. Blended search may provide more short term opportunities, particularly with the introduction of the recent Google Places Search results. One should be revisiting your keyword research as a matter of course, and as a result the potential of your campaign changes in line with your keyword revisions. This should act as a sanity check as to whether your campaign is going to plan – and whether there is further requirement for increased campaign activity to achieve required results. This is a debate that many have an opinion on – however one that still splits opinion. However by the mere fact that we are able to determine potential traffic via the forecast, it is possible to associate a financial return on the campaign and ensure that the campaign is financially attractive to both you – and more importantly your client. By integrating conversion rate and average order value into the baseline and 12 month forecast, it is possible to associate a potential return on investment to proposed activity and increased visibility. As I said earlier, any forecast should act as a guide. Very few forecasts (of any sort) are 100% accurate and SEO forecasts are no different. However what they do provide is a sanity check of the commercial fundamentals of your campaign, and an indication of just whether your campaign provides the financial justification for the investment in it. Facebook New Feature: The start of a Beautiful Friendship (Page)? Interesting approach, this is something each SEO consultant or agency is coping with. @peter Young: Very interesting post! We build http://www.seoeffect.com out of the same approach. It ‘only’ counts the benefits not the costs. We think thats not doable with a tool. 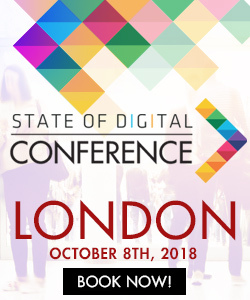 See also the review here at State of Search : https://www.stateofdigital.com/review-seo-effect/ and we are in a next release now. Absolutely knowledgeable SEO plan and forecasting, it’s really great to view such kind of analysis on the overall growth of a SEO campaign. Video is to some extent complex, at-least for SEO starters, but anybody can cope up with it and start as a good example of SEO planner. I am so impressed with the post and bookmarked it on my browser as well.